One of the first things we saw at the fair this year was the agricultural display (AKA: the tractors), simply because we walked past it to get to where we were going. Of course, they boys couldn't just walk past, they had to walk through. After getting this picture I started noticing tires. Talk about interesting! 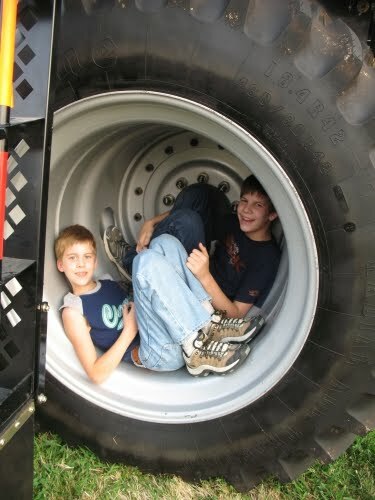 The boys are lounging inside a combine tire. We're seeing and hearing loads of combines these days as the farmers are pulling the crops out of the fields. These things are BIG! 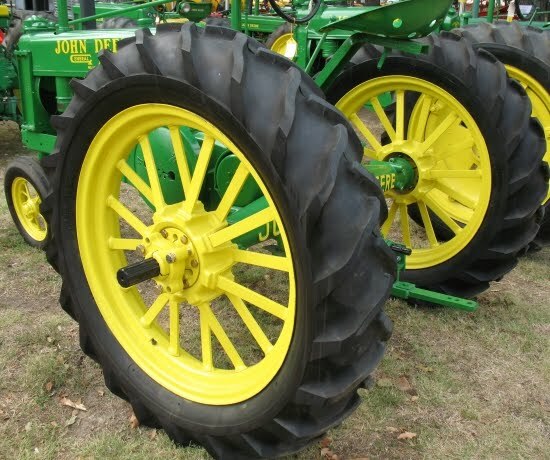 I think what captured my (weird) interest in the tires is the colors, the size, and the variety of them. Too often, when we think of tires we think of only the ones on our cars. But there are soooo many different kinds! 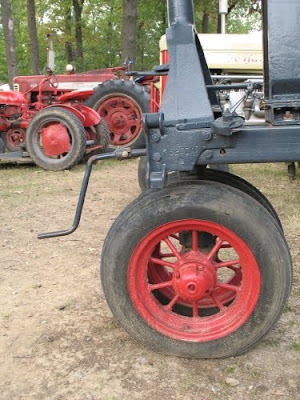 We might not stop to really think about and notice tires until we're faced with some really different ones. 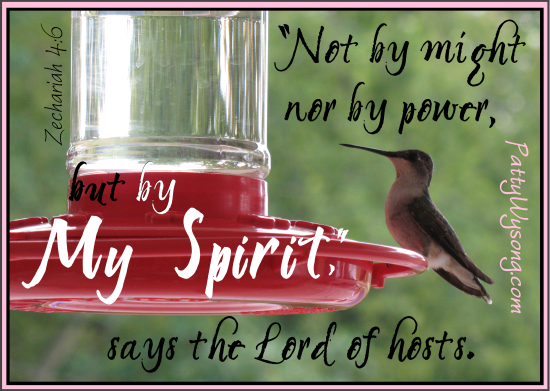 What do we do when we see 'different'? Do we turn up our noses because they're on a vehicle we don't think is... worth noticing? Or maybe we step away or laugh because they're so far outside of "normal"? Yanno, people can be a lot like tires. Some you don't even notice. Some are heavy duty for big job. Some are made for light loads. Some we don't notice until they don't do what they're made to do. 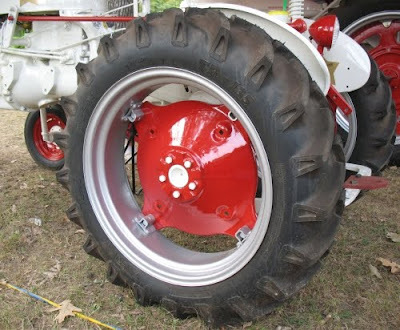 Name the vehicle this tire goes on and I'll send you a copy of this year's theme verse/graphic. 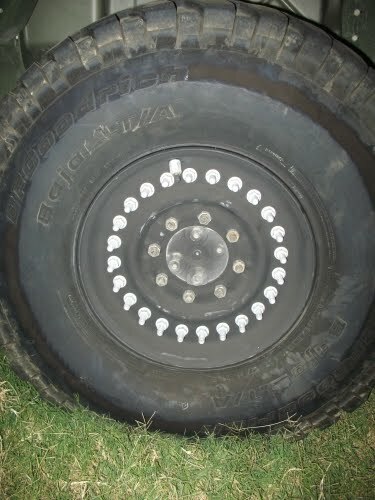 <--Here's the picture I'll send you if you correctly guess what that tire goes to. Don't forget to email your guesses. If you're joining us for the a 2 z 4 u & me meme by posting on your blog this week about the letter T, be sure to add your name and the link to that particular post in the linky gadget here. Tractors remind me of my grandfather and visiting him in Bakersfield, CA. I LOVE tie-dyed shirts. Made them with my daughters when they were growing up. Oh, what fun memories! Peej, thanks for this fun post! Enjoyed it! I have no idea what tire that is. :) My son would know but I won't cheat by asking. My son's were shocked by the size of the tires we saw in Montana on mining equipment. Okay, so was I. They were HUGE. This 'tire' is clueless...I can't even guess what that goes on. But I love your analogy to people!! You're right - some ARE flat. Hee hee hee hee!!! Thanks for the chuckle. You could have fit a few more kids in that tire, Peej! :) Love your shirts too! What fun pictures! Maybe I'm weird but I do often notice tires and hubcaps and things like that. They are interesting shapes and then the pressure of the vehicles moving on top of them makes them bow out to more interesting shapes. 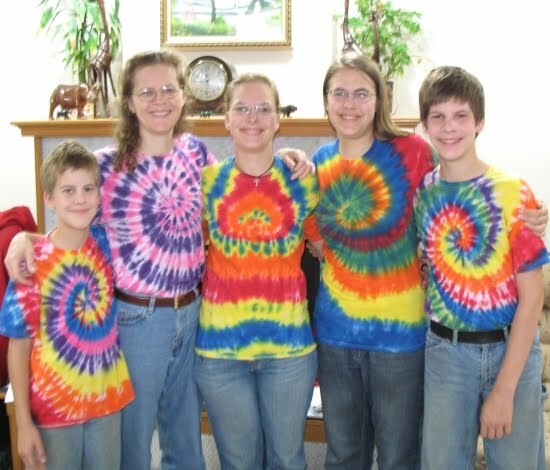 Tie dies look fun, too! My elementary school used those giant truck and tractor tires as cheap playground equipment. I had my first kiss in one of those tires! Love the colorful photos! Never considered the variety of tires. The inner tubes from some of those tires would make great snow toys! ADORE your new shirt -and I haven't even a CLUE what that tire goes to. Great analogy as always, and a delightful post. LOVE you! Ok, I've got a guess for the tire - taking a closer look, searching for clues, I see "BAHA USA" on the side and I noticed that the vehicle frame is high above the tire. So I say a 4-wheeler. So glad you're joining a2z!! =] YaYaY!! I'm a city-gal. Could even try the name that tire game. But I loved the tie-dye shirts. Mine never quite come out that well. Kinda cool you had one in your town too!! =] 'specially considering the size of your town. LoL.